Previously ending at I-55 north of Memphis, TN, and prior to that on the Memphis line itself, US 63 was extended a few years ago down to Ruston, LA. This is the first reassurance shield north of I-20. Photo by Adam Froehlig, taken early August, 2000. 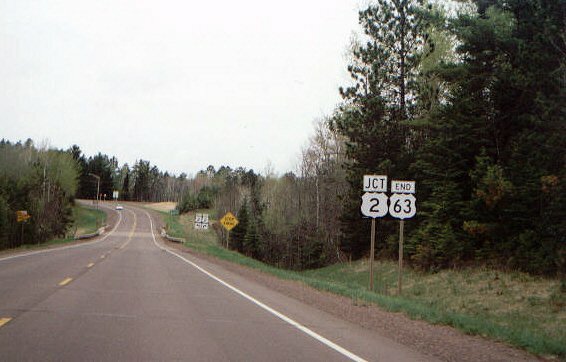 US 63 ends at US 2 west of Ashland, WI. Photo by Jody Aho.